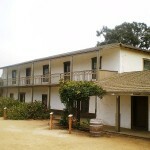 California senator Thomas R. Bard’s home, built in 1912, is also known as Berylwood. The house is said to be haunted by the senator’s wife, whose apparition has been seen in photographic images. Senator Bard, his servants and some soldiers are believed to haunt the house as well. Witnesses describe strange whispering sounds around the mansion. My family had a birthday gathering at this location about 18 years ago. My cousin and I went into the bathroom down stairs and I heard a baby cry and I said to my cousin “who brought a baby” and she replied no one. We both looked at each other and cries got louder and we ran out and didn’t hear it again. Then while we were leaving my grandmothers left clip earring kept flicking off her earlobe and landing in front of her instead of falling down beside her feet, it happened three times right after the other. We looked at one of the back windows and woman was looking out and disappeared. I had a bad nightmare that night and could never forget that mansion. I was military on the base in the 90’s, as a military police officer, I had to investigate the Bard Mansion on several ocassions. Heard and seen some strange things in that location. Got to admit, it was cool. We have a huge Halloween Event going on at the Bard Mansion this year! 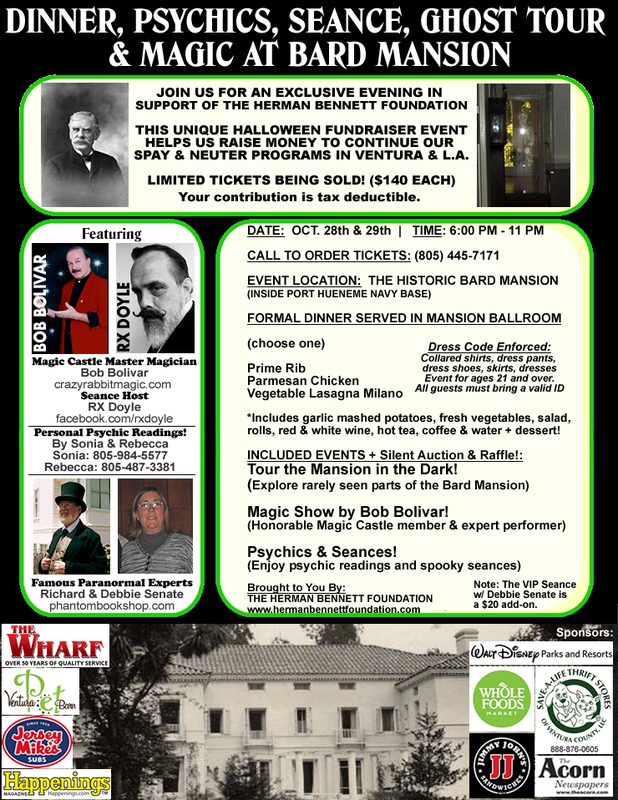 There will be a live Séance, Psychics, Formal Dinner, Magic and Ghost Tours in the Dark. Experience it for yourself! Call 805-445-7171 for Tickets!